Our home is Crowsnest Pass, Alberta, where some 1,200 km of trails, 200 km of which are groomed, keep us enthusiastic about sledding. Snowriders Magazine 12th Annual Reader's Choice Awards the Crowsnest Pass "Platinum: Favourite Overall Snowmobiling Area in Alberta" as well as "Gold: Most Popular Area in the West". The area is considered Alberta's Playground and rightly so. The area scenery is breathtaking and the peace and tranquility of the mountains nourishes the sledder in all of us! Whether you are a newcomer to the sport or seasoned rider, the Crowsnest Pass offers you all manner of trail riding and boondocking. When your ride is done, enjoy the hospitality of the Crowsnest Pass, from B&Bs to fine-dining, Crowsnest Pass has a full compliment of amenities for all. 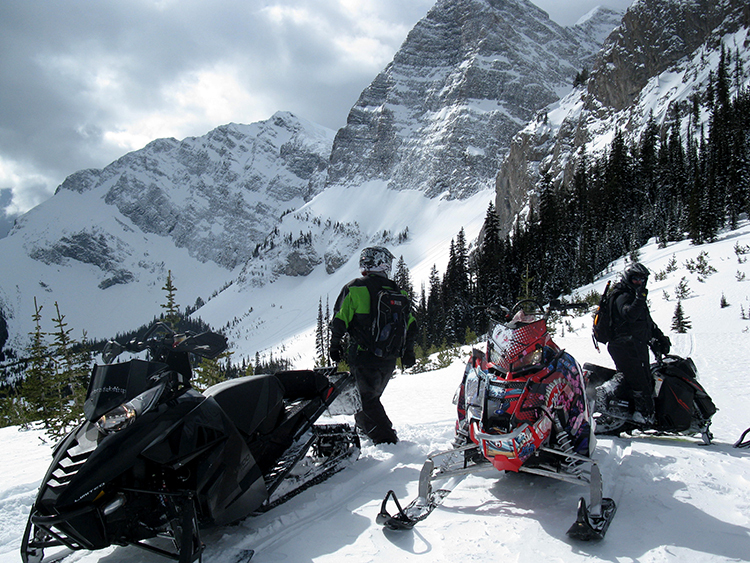 Established in 1991, the CrowSnow Riders mission is to promote sledding in Crowsnest Pass and surrounding area. We do this by grooming over 200km of trail, and maintaining 1,000km more. We believe in promoting sledding as a fun, family activity. We are a nonprofit organization, and you can support us by purchasing a membership. Club meetings are held on the first Friday of every month (October to May) at the Royal Canadian Legion in Coleman. You can also make a donation to support the club. Copyright © 2017 Crow Snow Riders. All Rights Reserved. No part of this website may be reproduced without expressed consent.